Behold, the ant. Quite possibly one of the most fascinating creatures on Earth. You probably remember hearing the story of Prophet Sulaiman (AS) and the talking ant as a child. Would you believe me if I told you ants REALLY do talk? Yes, Prophet Sulaiman (AS) was granted the exceptional ability to understand animals, but ants actually do ‘talk’ to one another! 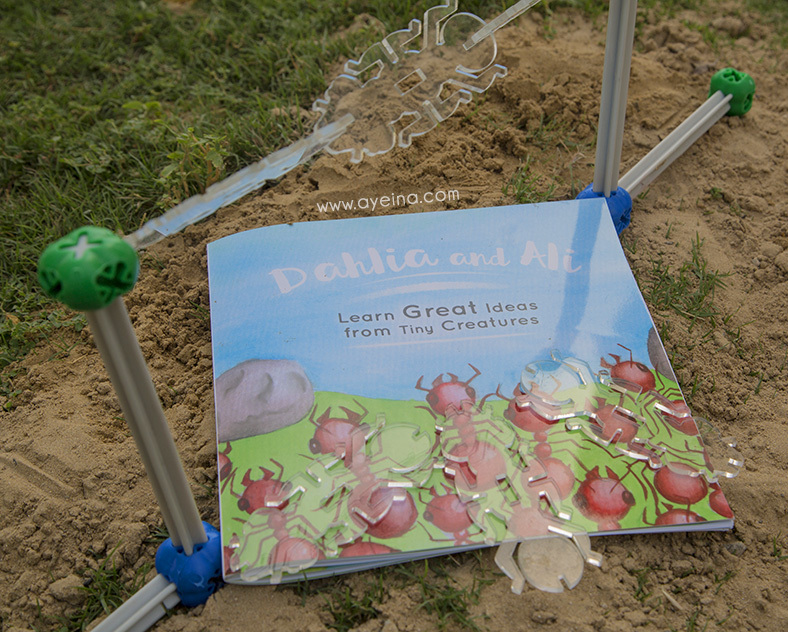 Have you ever watched an ant colony in action? Maybe you had one of those neat glass ant farms as a child. Or maybe you’ve observed an infamous line of them carrying away crumbs from spilled food or drink. Their communities are highly complex with purpose, order, and communication. Their interactions resemble humans in ways you may not even know. They form multi-generational family units called colonies. A colony is typically made up of one or more queen ants (mother) and worker ants (daughters). Each colony shares a communal nest structured to protect the egg-laying queen(s) and immature offspring, and accommodate a division of labor. Ants have specialized roles, each one contributing to the security and survival of the colony as a whole. Some are dedicated frontline soldiers, like the ant in surah An-Naml, defending the nest and warning colony members of impending danger. Some scavenge for food, leaving a chemical trail behind so other nest mates can find it. Some maintain the intricate tunnel system of the nest, digging interconnecting pathways and leaving a mound of dirt above. Some care for the young. Some care for the queen. And if you’re the queen, your sole purpose is to lay eggs. Communication is what makes ants so efficient as a community. It was previously thought that the only form of communication between ants was through chemicals called pheromones. They secrete a myriad of different scents to signal a distinct, specific response from others. Modern research has now proven that pheromones aren’t the only way ants communicate with one another. It has been confirmed through the use of microphones that communication among and between ant colonies does, in fact, occur through acoustic signals. In a process called stridulation, ants are able to create a chirping noise through rubbing a segment of their abdomen against a rigid organ that acts as a file. 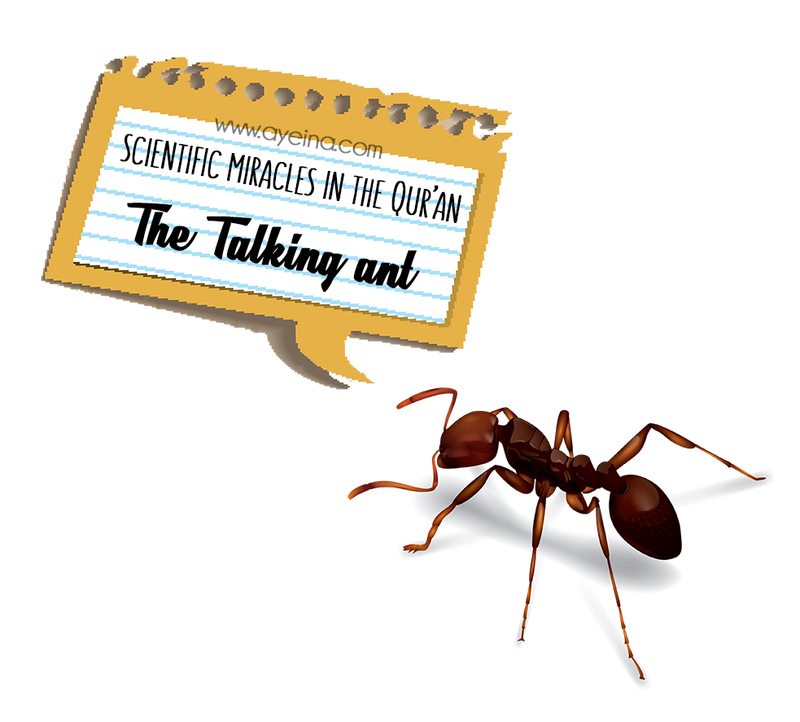 The talking ant is not the only scientific miracle of the Qur’an. The Qur’an contains over 1,000 ayahs relating to science. Religion and science are often regarded as separate entities; one being totally independent of the other. Some argue that in order to accept a scientific theory as fact, one must have experimentation and observation void of faith. That in order to accept faith, one must blindly follow religious order void of logic and reason. That rationality and religion are somehow incompatible, when, in fact, one validates the other. Religion backed by factual, proven science gives it credibility, while science backed by faith has a purpose and a greater meaning. The Qur’an and modern science go hand-in-hand. Each scientific miracle strengthening the belief in the Creator, the Maker, Allah (SWT). The story of the ants as mentioned in the Quran is simply fascinating. Subhaannah! I usually watch for reactions and amazement on the faces of young listeners as we read through that story.. such great wisdom contained in the Great book for the whole of mankind. May we be able to benefit wholly. The question is ” what is the name of prophet sulaiman’s Ant”?